Even when I was born, it was clear, that I would be a fighter. We all are. It’s in our blood. Maybe it sounds crazy, but through bloodthirsty battles leads our journey to eternal life. If we can not honor our gods by spilling enough blood for them, they will throw us in endless damnation. As a child, it often seemed to me, that I was lying somewhere in the darkness, I could not move and some strange character looked at me from above. I do not have these nightmares anymore. I live them. Outside, on the battlefield. 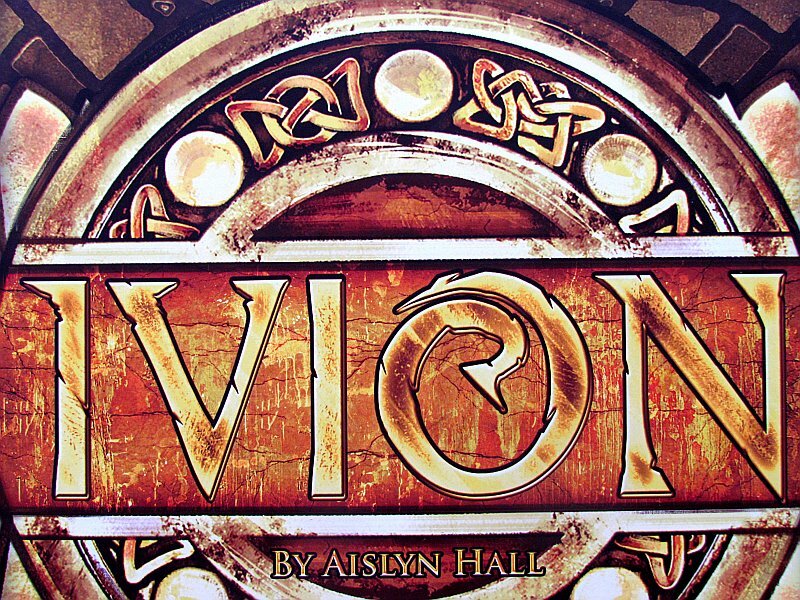 To the dark ends of a strange world, we are lead in the board game Ivion created by Aislyn Hall. 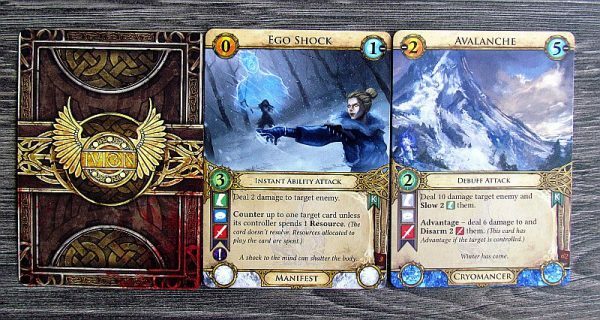 Designer has successfully organized a campaign on the Kickstarter server under the auspices of the Luminary Games company. With the support of 200 fans, it came to be a reality and a few months later we get to play it. The box is massive and you can find a peculiar symbol on its copper surface. Under it, sealed, there are decks of cards. These are the main component of the game, and there are some seven hundred of these. Among them, players will find sixteen cards, that are spread out into the square at the beginning of the game, creating a battlefield. Then the two opponents put their pieces in the opposite corners of the map and at the same time, they also need to create their own character, they will represent. Not only do they have a prepared combinations of cards in rulebook, but they can also enjoy a great deal of freedom, when they do it by themselves. 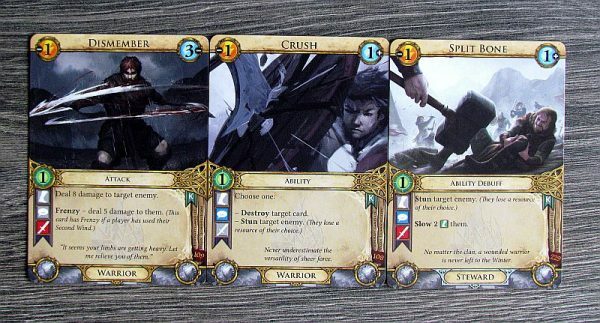 Each hero is comprised by a set of cards – one specifying his starting life points, the other two are traits and then deck of 45 other cards made up of class and specialization cards. And while the first three are characteristic of the whole body and are lying open on the table for the whole time, the rest of the deck has to be shuffled and players will be drawing from its top – at first five cards as their starting hand. 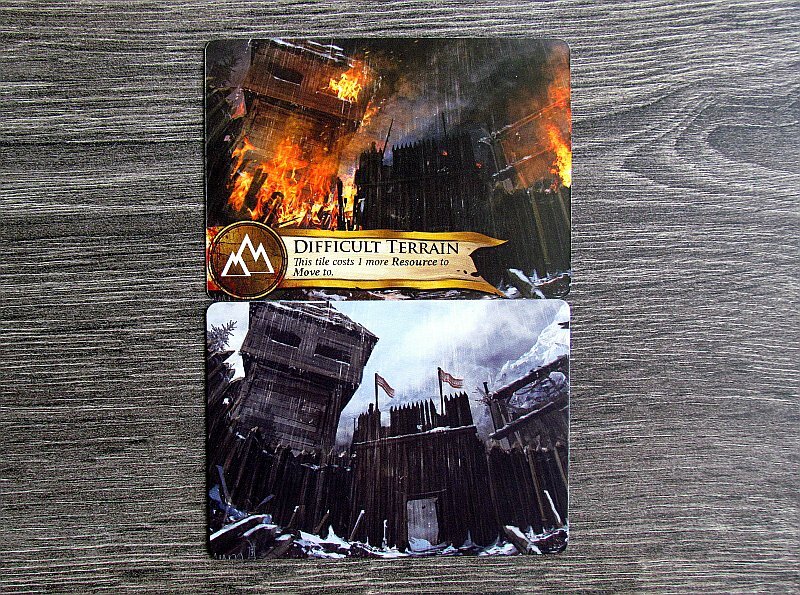 For this, players will be provided with mandatory three dice equipment with icons for recording level of strength, action and initiative. 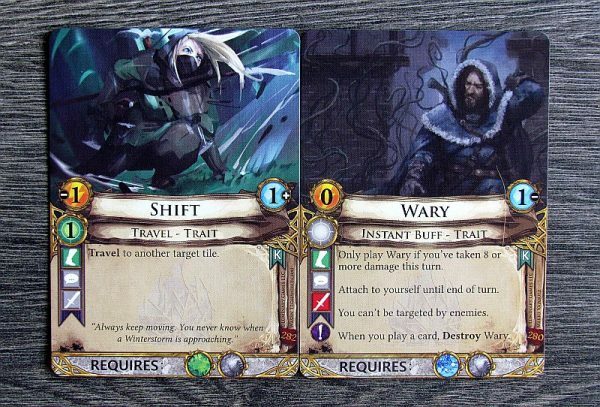 At the start of each turn, player draws one new card out of his deck and gets one initiative token. 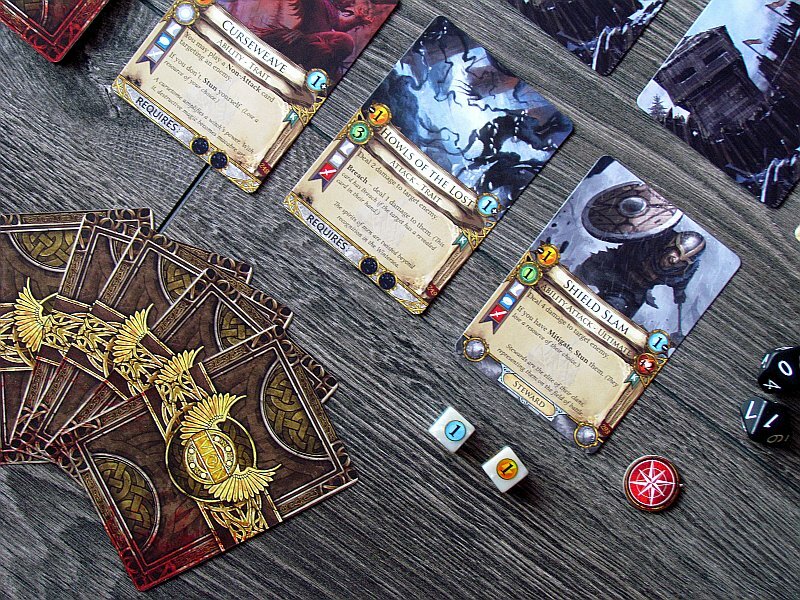 Then he gets a chance to use all three actions (plus any, that he saved from last turn up to a maximum of five), that can be spent not only for playing cards from hand or on the table, but also to move his character around the map. Placed or activated cards are priced in the upper left corner with the minus sign. They allow you to attack an opponent, move on board, attack, cure or trigger more effects. There is really a lot of possibilities on the cards to choose from. And while some cards are one-time, others remain lying in front of the player to be used again. Some allow to disarm, slow or silence opponents character. This significantly limits enemy choice of playing cards, because many abilities require one or more of these capabilities indicated by a colored icon. 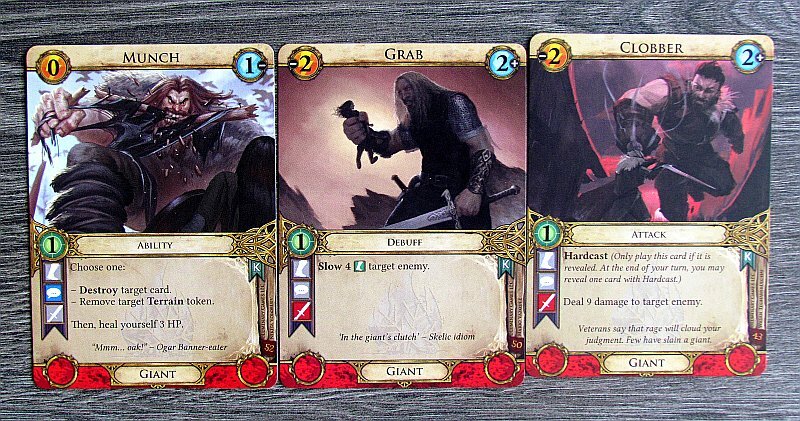 For example, if a player is disarmed, he can not use any card with a red sword icon. 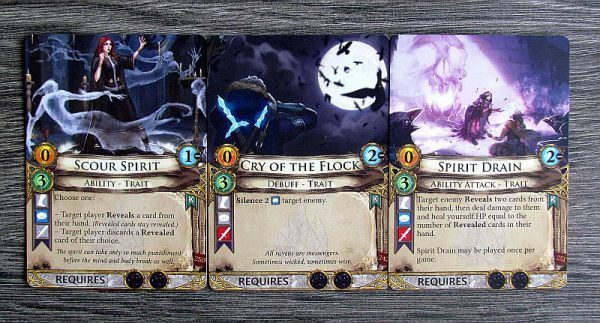 Player can also spend the initiative tokens, they receive in every turn. As a result, he can remove the token from his hero, shake and continue the fight. It costs valuable time. Player can react to other player’s actions using special cards (instances). And then the active player can answer to that again, so they alternate. Reactions are then evaluated in reverse order, because their cards lie on a common stack. And that’s all. 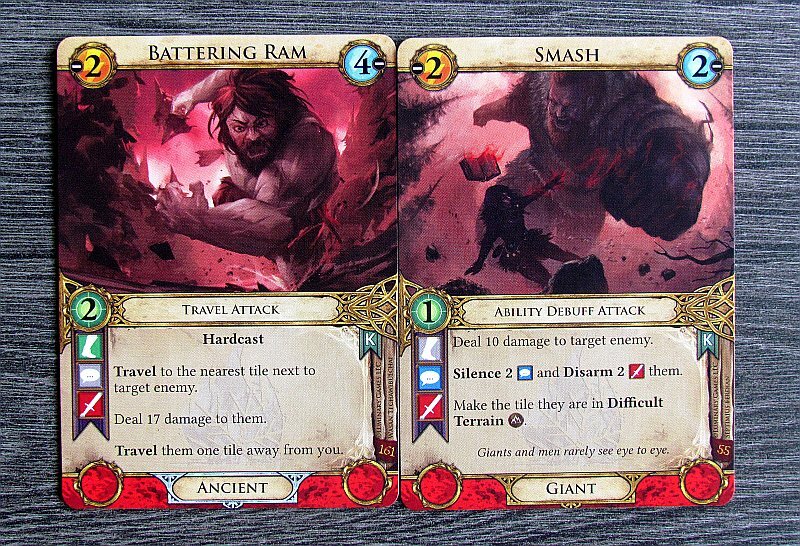 First and foremost, both opponents try to hurt each other and make them lose valuable points of life. 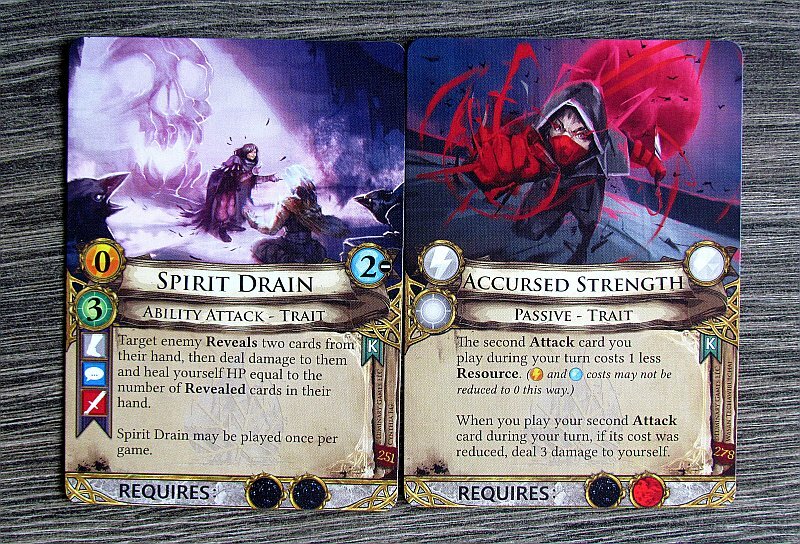 As soon as the hero falls below half, he gets the chance to catch the second wind with minor benefits. But if someone’s number of lives drops to zero, he is instantly defeated and his opponent can celebrate victory. 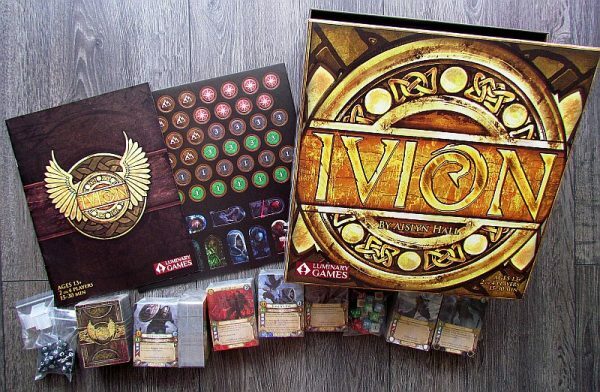 Ivion is a great duel board game, in which the map is only represented by cards spread out into square shape, but that’s why a huge amount of cards have been put into the box. Thanks to them, the great possibilities of building unique heroes are waiting for players. 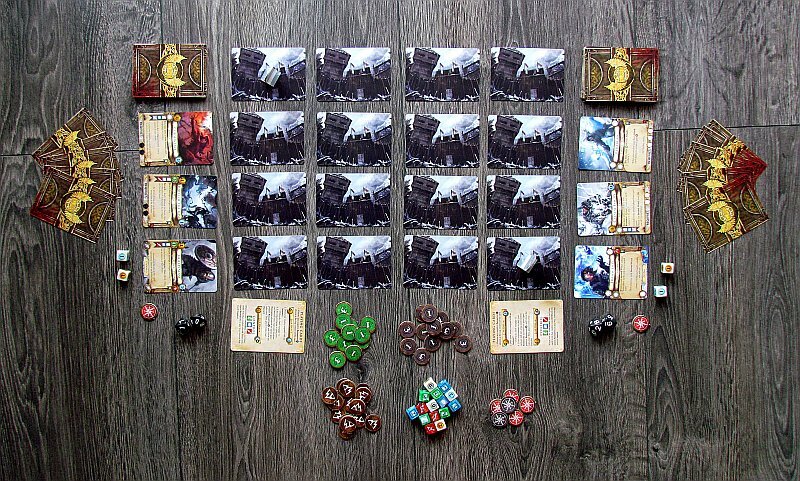 Just this deckbuilding before the start of the game is, what the player will been doing and enjoying for a long time. 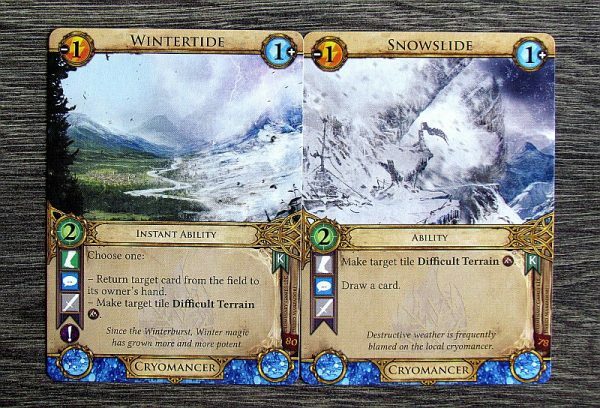 But before they get acquainted with the options offered, they can use pre-prepared decks. 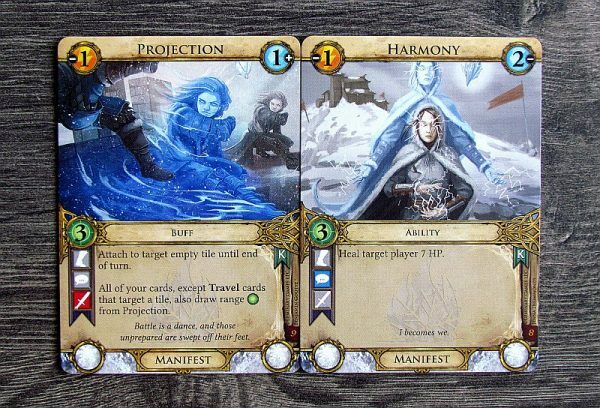 Most of the elements are classic as you can see them in other similar games. But the first difference is the fact, that there is no room for dice in this game. 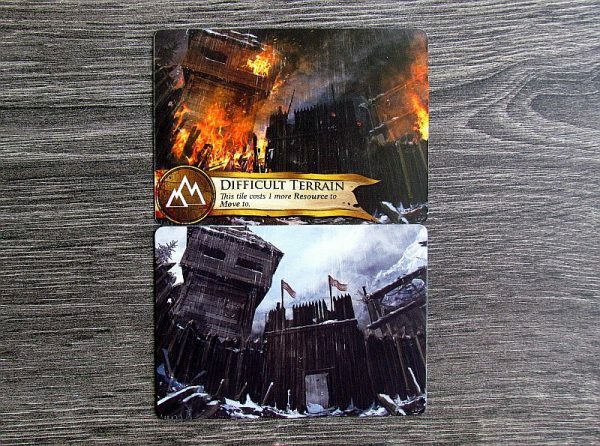 Even though there is a lot of battling in the box, you will not be rolling any of them. Individual occupations and specializations are very different, making it possible to build decks for totally different experiences. 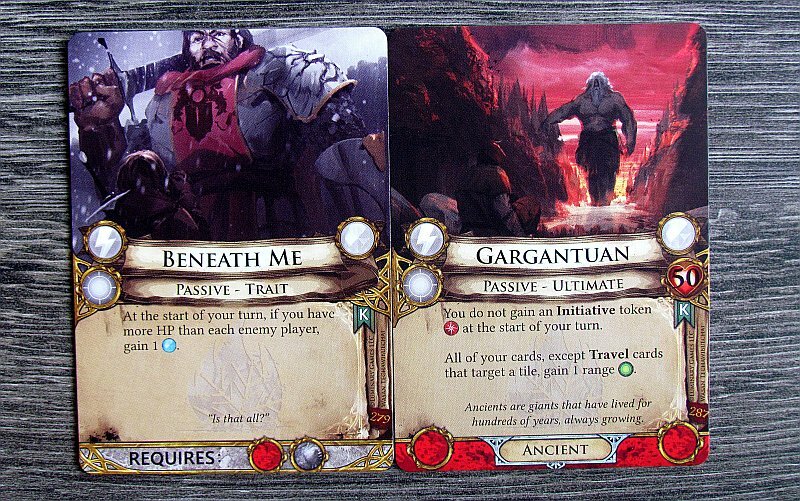 However, the matches are always very conflicting and require a direct confrontation of both heroes. They always have a chance to react to the opponent’s action, which is very interesting. 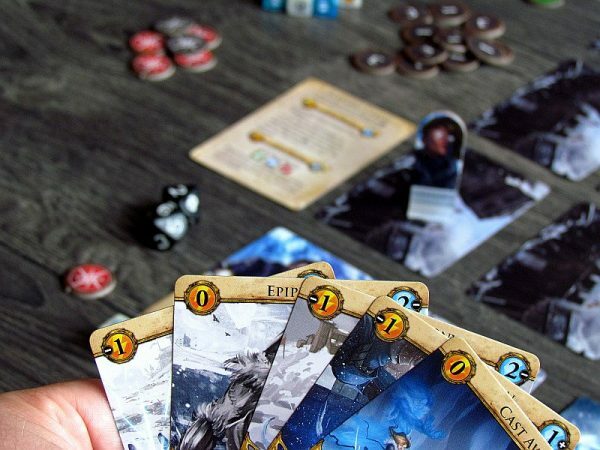 There should be a moment for comparison with Mage Wars, which still dominates our charts when it comes to duel games. And this novelty really puts up a fight with the current king of the genre. In addition, it defeats arena competition with the simplicity of rules, where Mage Wars have many effects and different rules. In addition, the abovementioned absence of coincidence attacks a slightly different audience. 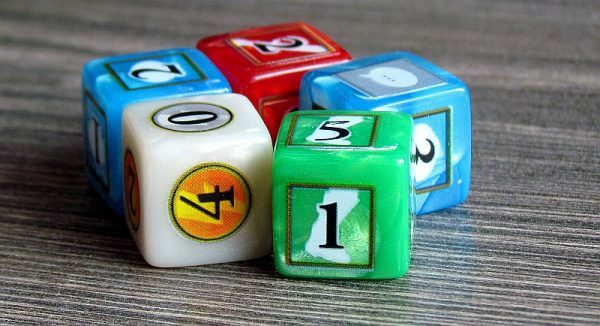 If you like the tension from the dice, you will not get it here. Amazing is the mechanism of negative effects. When you silence a hero, he can not make effects, that require talking. When slowed, he can not use some speed activities. 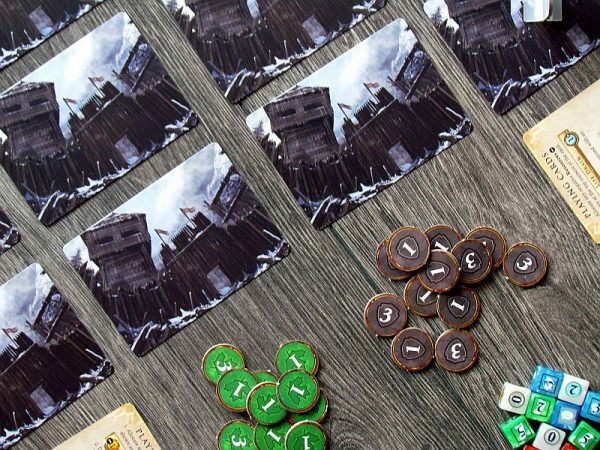 Everything is beautifully connected and gives the game a beautiful tactical impression. 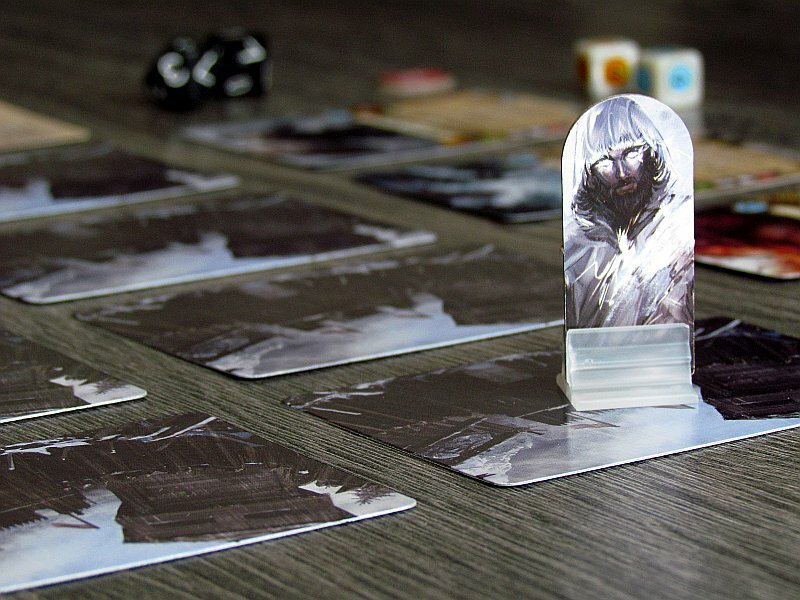 In addition, the locations themselves can be changed, place cards there and set traps. 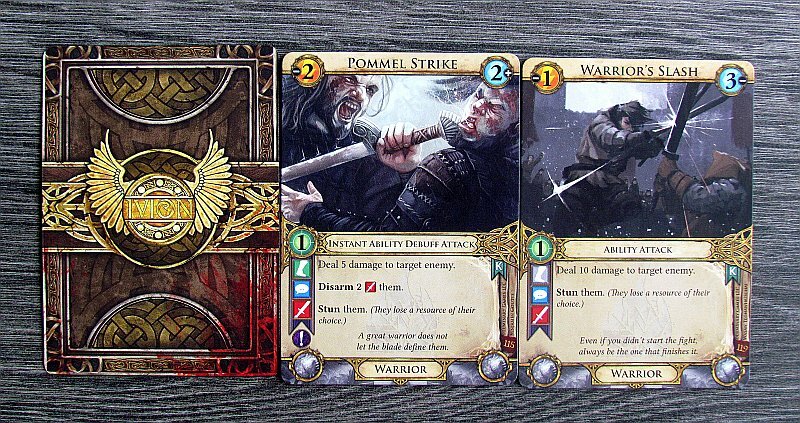 If the cards are offensive, they also have their range. 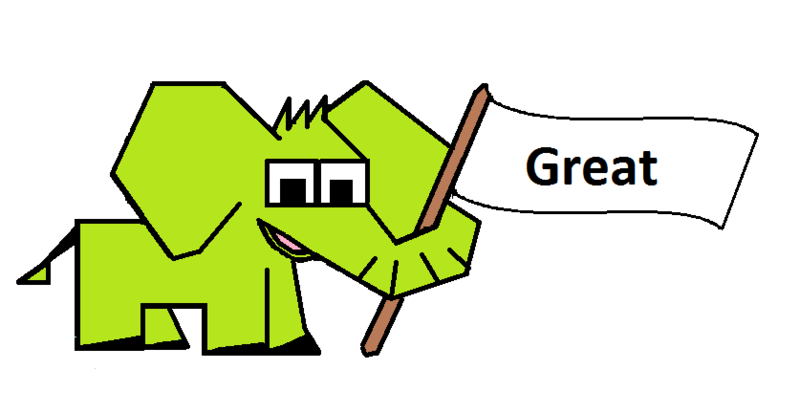 If the unit has melee attack, you can not use it to attack at the beginning of the game, when two opponents are six steps away (diagonal distance is not counted). 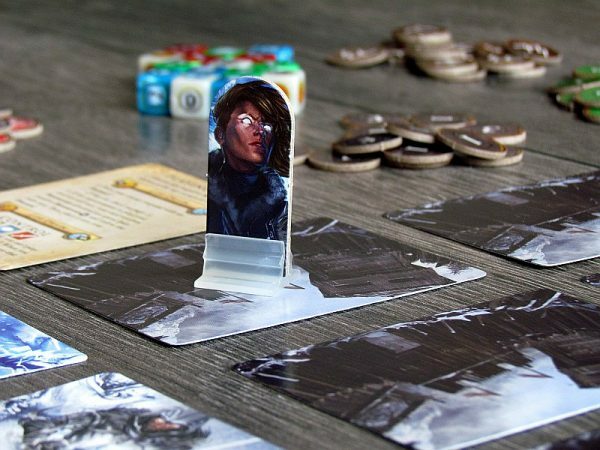 There are no miniatures in the game. And we have already verified, that they are not really needed to have true experience. Moreover, considering the fact, that the graphics on the cards are really great, then the whole game has to be highlighted. 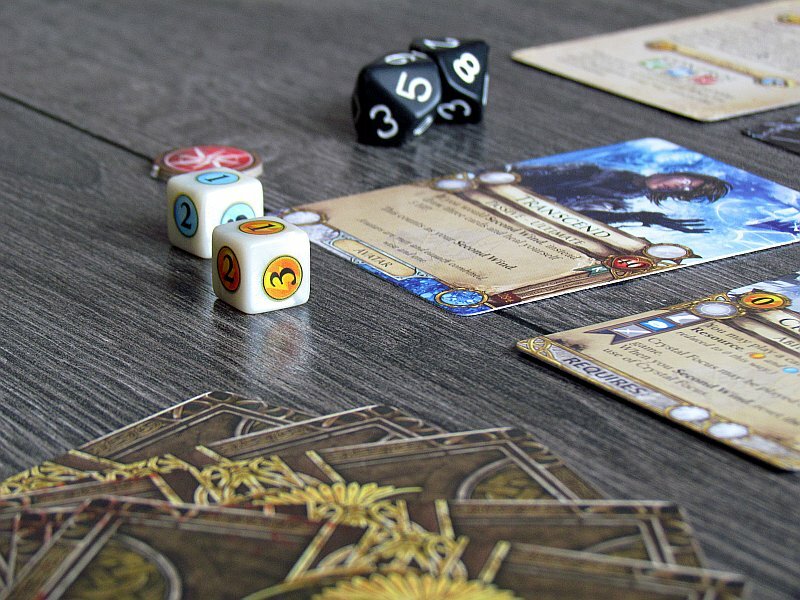 Using dice to track statistics, whether action points or other effects, is not a bad decision, although it does not suit some players. It can be too much handling with those dice. 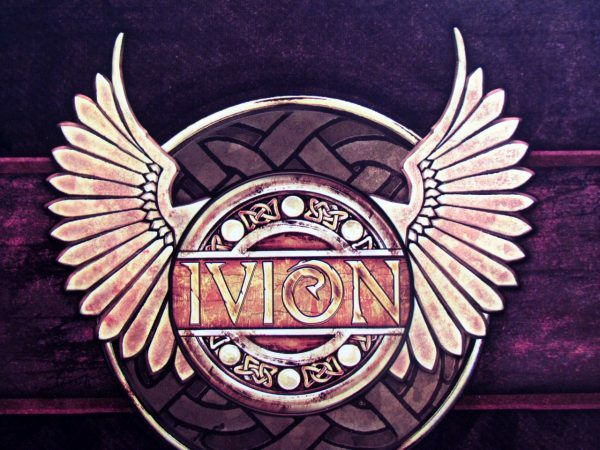 Ivion is a huge achievement, that has not yet gained much popularity. Maybe this is just a temporary problem with advertising, that should come by itself with quality games. Ivion is definitely on the top of the duel games, works great and entertains for a long time. Ivion is a great game, that gives two (but even four) players a chance to face-off in a dark fantasy style. 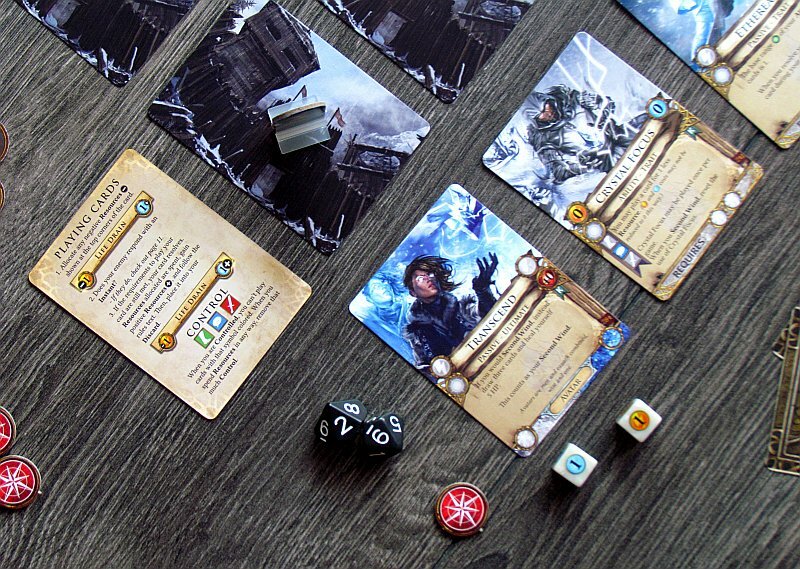 Prior to the battle on the map, players will be given the chance to build their hero from a huge selection of cards. The game is beautifully linear, but still offers many interesting moments. There is no luck in the game besides drawing cards, but on the other hand a lots of chances to limit actions of opponent. 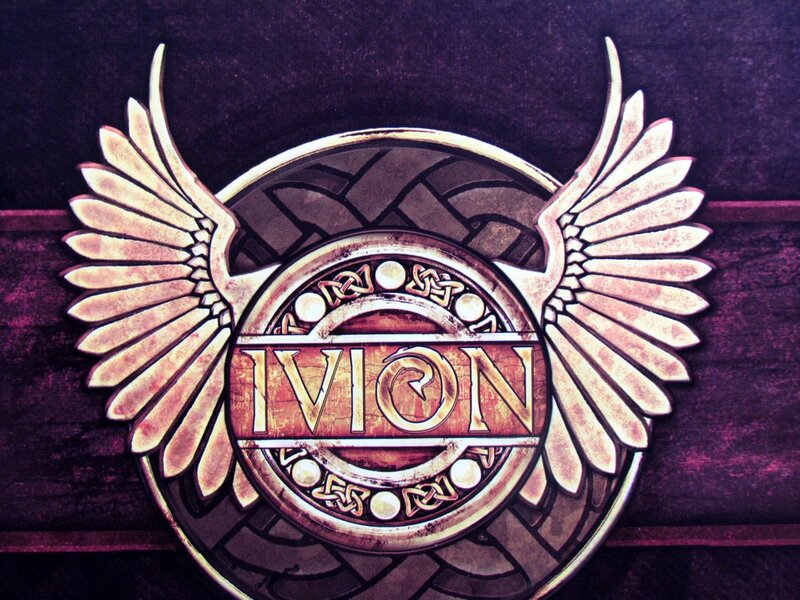 Ivion is a great surprise and we have to recommend it without hesitation!